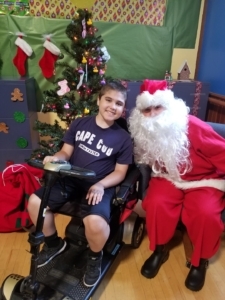 What started as a team name for a walkathon in 2012, 4 Jake’s Sake has become a non-profit 501 (c)(3) charitable foundation whose main purpose is to help families living with Duchenne Muscular Dystrophy to make their homes and lives more accessible! 100% of your donation go directly to helping these families!! 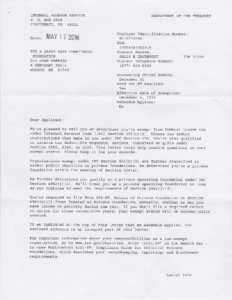 Please see our designation letter from the IRS to the left. Say Hi to Ethan!! 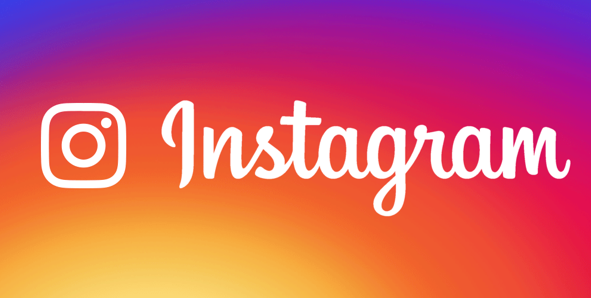 Ethan is a creative 14 year old from Pennsylvania who loves to draw! 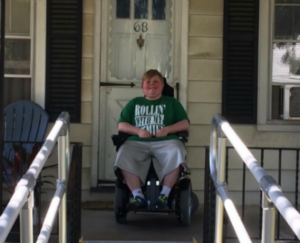 Ethan has Duchenne Muscular Dystrophy. When he grows up he wants to move to Florida and be a Marine Biologist. 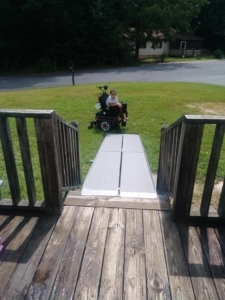 Because of our supporters we were able to get Ethan a ramp so he can bring his scooter into his home and not have to leave it in the basement! This is just one of the many families have helped with the amazing support of our donors! Meet Liam! 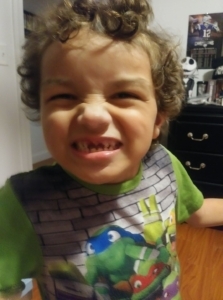 He is a true Red Sox Fan and this was the first day the Green Monster came home from school and was able to get into his home!!!!! C.J. 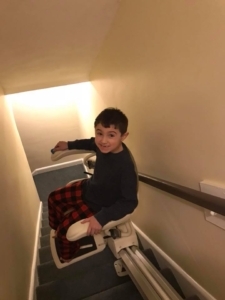 is so happy to get a “lift” upstairs in his home! 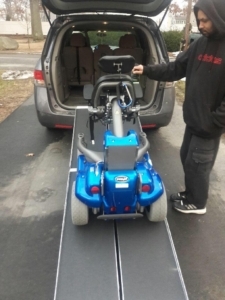 For this job we partenered with 101 Mobility in Marlboro, MA (who did Jake’s elevator) as they donated the labor to get this chair lift installed so C.J. 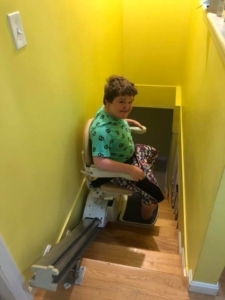 can make it upstairs to the bathroom and his bedroom! 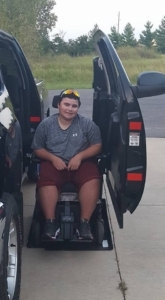 Miguel can now join the rest of his family when they hit the road thanks to the ramp that enables his wheelchair to get into the van. Emerson can now get in and take a cruise! 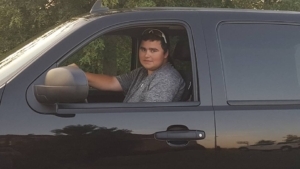 We helped with the mechanism that connects his wheel chair safely into his truck. 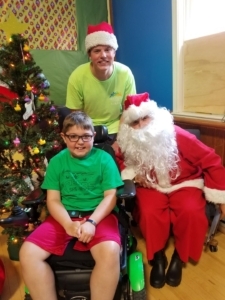 Most Duchenne kids need a 1 on 1 when they go to summer camp and Sammy (left) and Caeden were so happy to spend a week at the Bridge Center and looks like the had Christmas in July! Caeden was also able to do some equine therapy his week! 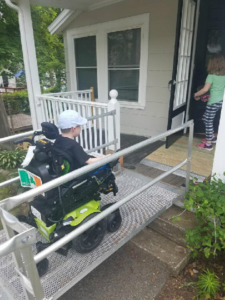 Before the ramp Isaiah could only get his wheelchair into the house with a long piece of plywood, now he can just roll on home after a tough day in the 3rd grade! This 9 year old loves having this independence!